Our aim with the Auto Review series is, wherever possible, to contain a complete story, within one small volume, whether it be a marque history or a thematic study. We postponed tackling the story of Ford in Britain (and consequently in Europe, as French and German products were intertwined with those in the UK) because we realised what a big task it would be. Once we came to grips with the immense amount of research information we had available, it became clear that it would be impossible to cover it all in one Auto Review volume. Maybe two? No, we ended up with three Parts to the history. 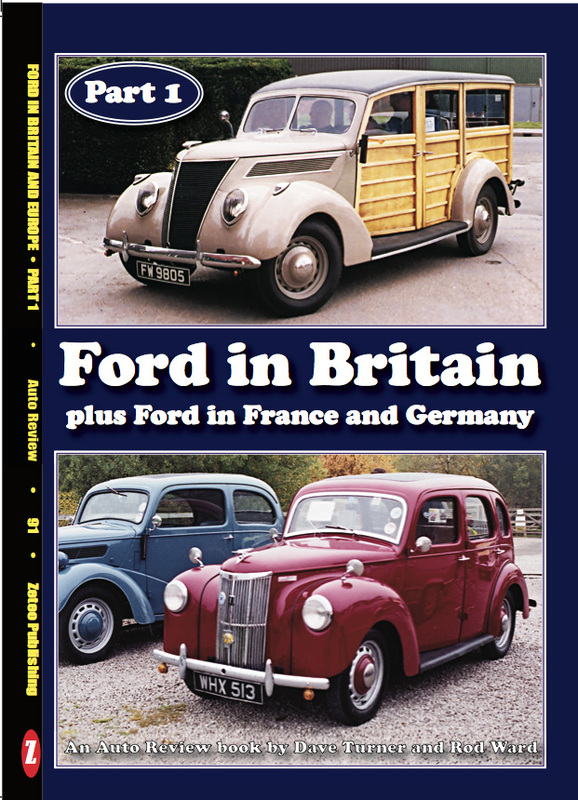 This publication, Auto Review 91, is Part 1, covering the earliest days of Ford in Europe up to around 1950, including a little about Henry Ford, UK production of the Model T, Model A, Eights (Y-type to Popular), Tens (C-type to Prefect), all V8s (including postwar Pilots), prewar and wartime commercial vehicles, all French Fords and German prewar Fords. Also covered are postwar reissues of prewar cars, early postwar commercials and the Mark I to IV Consul-Zephyr-Zodiac (referring to the more detailed coverage of them in Auto Review 06).